I have a very strong love/hate relationship with training. On one hand, I love the feeling of adrenaline pumping through my veins. I feel like a monster every time my sweat drips down from my brow and when the beat of my heart pounds a rhythm to its own song (yes, I’m cheesy). But on the other hand, I’m lazy. Yup, I said it. I’m lazy. I don’t like sweating and getting up off of the couch when I’m in the middle of a movie marathon is almost painful to me. I’m ridiculously lazy, and the hardest thing for me to do most days is get out of bed. When I wake up in the morning, it takes me quite a long time to actually be able to wake up my mind. Maybe it’s because I don’t go to bed early enough, or maybe it’s the low blood pressure in the morning. I have no idea. But what I know is that even on good days, just getting up and moving can seem so hard. Motivating myself is the hardest part of becoming fit. Anyways, returning to the story, my cousin eventually reappeared before me holding the board that she had just put together. You know when you glue images from magazines and stuff that you print off to make some sort of collage project in school? Well, it kind of looked like that. I stared at it clueless until she informed me of what it was. “It’s an inspiration board!” She declared. Whatever post that she must have seen had suddenly helped her find the inspiration she needed to get up and get moving. Let me explain. An inspiration board, or a motivation board is something you create for yourself to help you get through the day feeling like you have something to accomplish. It is something you hang on your wall that you look at every morning to get you out of bed. My cousin had printed pictures of things that she loved, things she wanted to do and motivational sayings to help push her to succeed in whatever project she decided to pursue. At the time, she had given herself a fitness goal and she had printed pictures of people running, running equipment, and other related things. At the time, I was too deep in my emptiness and uncertainties for the inspiration board to hold meaning. Also, it was something that my cousin made for herself. Although our thoughts and goals aligned, this was her project and not mine so I unconsciously viewed it with a little bit of detachment. If I had made one of my own that day, a board that represented what was deep in my heart, I’m sure I would have gotten out of my funk sooner. My motivation board is actually my screensaver on my iPad. When I feel like sitting down and doing nothing, the first thing I see when I open my iPad are pictures of people doing kung fu. I have some pictures of myself (like the one above) that serve to remind me that I love working out. I also have quotes and sayings from Jackie Chan and Bruce Lee that help inspire me to work harder. Making an inspiration board gives you something to work on while finding the inspiration to do what you love. Be creative with it. Use any pictures that give you feelies inside. Don’t limit it to only pictures. Use items and create an inspiration box instead. Put new workout gear in the box and use a new item from the box whenever you need help meeting your goal. Don’t limit yourself in any way. There’s nothing more special than receiving a hand-written note – even if the one it’s from happens to be yourself. It’s that same feeling you get when you open a letter from a pen-pal or a good friend you haven’t seen in a while. I got the idea to write a letter to myself when I bought a pack of letter papers and envelopes to write to my friends who live around the world. It is my Japanese friends who I contact the most through letters. I was very sad when all at once, a group of friends who were visiting Canada had to return to Japan. We said our goodbyes and promised to keep in contact on social media. After a few weeks, our busy schedules had caught up with us and we began to message each other less and less. When that first letter arrived, I was very surprised and moved by the thoughtfulness. To me, just that simple letter was a beautiful gift that held so much meaning. The opinions and encouragement from friends means so much to me and as the letters continued, I realized that there was someone else I needed to receive encouragement from. That person is myself. How often do you actually congratulate yourself for doing a good job? Do you ever give yourself acknowledgement for accomplishing your goals? These thoughts are what moved me to write my first note to myself. You can say that it sounds cheesy or lame, but this is something that helped me overcome a huge trial in my life. You’ve worked hard the last few days and really tried your best. The pain you feel today will make you stronger tomorrow. You are doing this for yourself. Things might be hard now, but it will get better. You might not see the results today or tomorrow, but eventually, this pain will mean something and you will be so proud of yourself when you notice the difference and become a stronger person. Yes, I already know it’s cheesy. But for me, it helped. The only one you have to convince of your own strength is yourself. Everyone says so for a reason. The first time I wrote a letter to myself, a little part of me inside just about died. I get it. Think of this as a challenge I’m giving to you. If writing a letter in this format is a little too much, just write a short little note. As I said before, I’m a cheesy to the point of cringe-worthy type of person. A few weeks before my birthday, I purchased a new planner and I went around to all of my siblings and close friends and asked them to write a cute message for me in the month of their birthdays. Yup, I got a lot of eye-rolls and funny faces directed at me that day. But hey, I get to smile when I see a new little message each month from the people who are close to me. It doesn’t matter if you use scrap paper or something that’s a little fancier. Personally, I use fancier paper so it looks nice when I can hang up the little note on my wall. I usually write little notes and have them hang for a week or so at a time before I write something new. Make yourself a workout schedule and STICK TO IT! Go to your journal, daily planner, calendar, or whatever you use, either digital or not and write down “workout” on three days a week. Do it now and continue going until the end of the year. Most people use calendar apps on their phones, so stick it in your phone as an event. If you want to meet up with friends during one of your workout schedules, tell them “too bad, so sad, let’s meet up some other time.” Your boyfriend might call you and ask to watch a movie during one of your scheduled times. Tell him sorry, but you can’t. If you’re serious about becoming fit, you have to learn to say no – and not just to food. Say no to the people around you. Don’t let anyone or anything interfere with your schedule. If I schedule something on my phone calendar, then it’s there and I know I’m busy that day. I’m still struggling with saying “Nope, no can do” to my friend’s whenever they call to hang out. But having that reminder in my phone which is always on my person, I really have no excuse to double book myself. If I treat it like a job, then it’s easier to say no to friends. The important thing is to keep at it and to not miss a day that you book for working out. Some days I just don’t feel like going to kung fu. But I know if I don’t go, then I’ll feel even worse about myself. Usually, I train by myself with Sifu Dan. On weeks that I’m particularly motivated, I’ll go to kung fu as much as six days. I’ve been pretty busy though, so that hasn’t happened in a while. But to make sure I don’t skip out on too many days, I’ve created a buddy system for myself. My kung fu buddies are a 16 year-old and 9 year-old. We train together two days a week. So when I come home after a long day at work and all I want to do is drink tea and watch a Disney movie, a notification pops up on my phone reminding me that my training buddies are waiting for me. I’m also their ride so I can’t let them down. Because they’re kids, I feel like I have to be their motivation and work twice as hard. They have so much energy, especially the youngest one, but I refuse to lose to them. I try to match them in effort. The little 9 year-old was dancing during our break at kung fu. I wanted to match her energy, so I danced right along with her. What I’m trying to say is, even if your body is younger than you or older, it doesn’t matter as long as you are benefitting each other. Trying to do everything on your own is hard. And kudos to you if you can do it all alone. But know that you don’t have to. You probably have a friend who’s in the same situation as you and needs someone to get in their face when they don’t feel like working out. There are some days when my little buddies don’t seem to have the energy to do much more than go through the movements half-heartedly. On those days, I feel like it’s my responsibility to help them through the lessons. Having someone who will help push you and who you can also help is what I think is the best way to stay motivated. Most great athletes, martial art masters become successful because of their strong sense of self motivation they’ll spend countless time self training themselves going through the materials that their coaches or teachers have taught them to improve on it and to take their skills to the highest level surprising their coaches and teachers. Self motivation is discipline not only for great athletes. Scientist that made great discoveries were mostly self motivated. At the end of the day it is about your legacy. Body, Mind and Spirit. hi kung fu girl, i have read your inspiring blogg. im very happy knowing a foreign girl like you happens to be interested in our traditional chinese martial art. by the way. 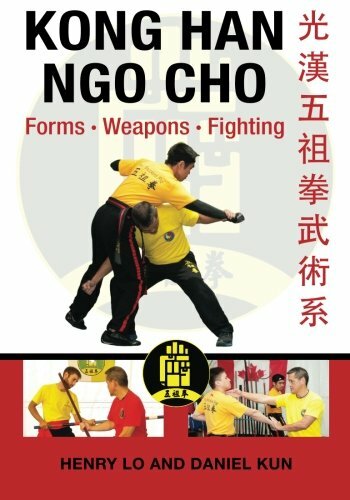 im nelson tan, turning 58 come Dec. 6, im a ngo cho kun practitioner some time in my life. im a filipino chinese, i started practicing way back my high school days. i trained at heng han (brother of kong han). im currently employed as an interpreter to a chinese whos doing business here in the phil. my work starts from 9am to 6pm we are located here in valenzuela, i cant imagine rushing to manila (where kong han is located), but i would like very much to continue my training, thanks to your blogg really, it really gave me a boost! we hope to attend kong han’s 80th anniversary here. wish you were here too. pls keep the line open for us to communicate freely. more power to your blogg and of course to kong han!